Since the beginning of Sikhee, like other religious groups, we too have the capacity of finding reasons to become disagreeable with each other. I decided to start a ‘list’ to gauge how ridiculous we are as a community when it comes to our practices, rituals and general living as a community. This list was prompted by the sometimes very silly disagreements, sometimes turning to violence, of the recent and current ‘Dasam Granth’ (DG) issue. So we shall start with that. That itself is not one issue but leads to other sub issues. If someone does not pick it up right away, I am putting all this down as a form of ridicule. And I shall only list ‘some’ of the issues with the DG. There are many! Is there an authentic Dasam Granth? Was it compiled by dhan dhan Guru Gobind Singh Ji? Are the banis in DG authentic or are at least some of the banis in DG authentic? Can we have a DG parkash alongside the Sri Guru Granth Sahib (SGGS), maybe a few inches lower than the Guru Granth Sahib Ji? Should we sing ‘Deh Shiva’? Should we remove all banis of Guru Gobind Singh Ji because none are in SGGS? On DG itself, O yes, there are many more issues! Where does Mool Mantr end? What segments of Gurbani must be included in evening nitnem (daily prayer) of Rehras Sahib? Should tables and chairs be allowed in langgar halls of Gurdwara Sahibs? When should kirpan bhet be done for deg/ parshaadh and what should the ritual be? Should a separate kauli be set aside with parshaadh presumably for the Granthi Sahib so that he does not miss out? 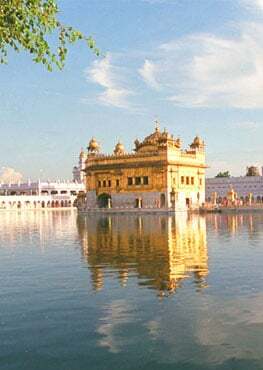 Should chair seating be allowed in Darbar Sahib? When should langgar ardas be done? Should a special plate full of langgar first be brought before SGGS for Ardaas before langgar can be served? Must one have a pela around one’s neck when doing Ardaas? Should a golak be right in front of SGGS? The list of course is not exhaustive. You can keep adding to it ad infinitum. My point is that the most important virtue in Sikhee, as I learnt, is nimerta (humiliity) which is developed with sincere sewa, leading to Naam. Having a good time comes a close second! I am amazed at the rift that has occurred not only amongst friends, even families, on these differences, even here in my homeland Malaysia, especially on this Dasam Granth issue. And interestingly, anyone who professes a status quo is ostracised by both sides! The two opposing sides have themselves in some instances come to blows, beard ripping and unturbanning of each other. So, I am proposing an official third ‘party’ – the status quo party. If it was OK with Sant Baba Sohan Singh Ji and his Malaysian team of Granthis, then it is good enough for me. Yes, with new information and learning, our procedures can evolve. It does not happen overnight. Let me cite you an interesting example. 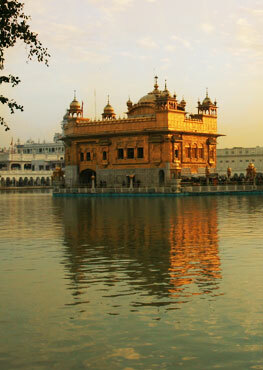 To convert from oil divas to electricity in Darbar Sahib (Amritsar, Punjab.) Going back to the late 19th century, this took 11 years of bickering and sometimes violent opposition! We like to believe that we have matured from then. But, not so. We have not learnt how to disagree without becoming disagreeable. I believe time has come for us to be able to practice our faith as we sincerely wish to, and allow each ‘group’ to practice as each feels comfortable. We cannot change that nor enforce ones will upon the other. I shall write further on this/these issues in my usual light hearted manner within my own shortcomings and limited knowledge. But I was virtually born in a Gurdwara in Malaysia, to a savant and a qualified Granthi Sahib and during the wonderful life and times of Sant Baba Sohan Singh Ji. So some of that Sikhee has rubbed off on me. And I feel I can pass it on to the younger generations who are sometimes left completely bewildered with our behaviour as a Quom. If you, as a reader, wish for me to add my cryptic comment/s on any such issue, please email me on. If you wish to criticise what I write, just throw your venom through comments on the SikhNet website or Facebook page. No worries! Except, please do not get personal like casting doubt on my parentage etc.! Not nice lah.